TSgt. 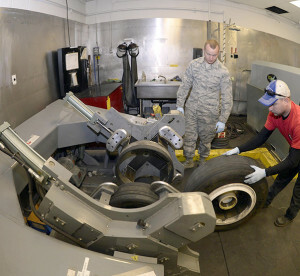 James Speicher, right, an air reserve technician with the 419th Maintenance Squadron, rolls an F-35 Lightning II wheel into a tire changing machine May 20, 2016, while Senior Airman Joseph Sprowls, of the 388th Maintenance Squadron, looks on in the wheel and tire shop at Hill Air Force Base, Utah. The machine depicted is a legacy tool which has been adapted via a fabricated bead breaker to be used in changing F-35 tires. For years, the wheel shop at Hill Air Force Base, Utah, has disassembled, inspected, repaired, built, and delivered reliable tires and wheels for F-16 Fighting Falcons. That reliability and 24-hour turnaround service will remain intact as the base’s operational mission transitions to the F-35A Lightning II. TSgt. 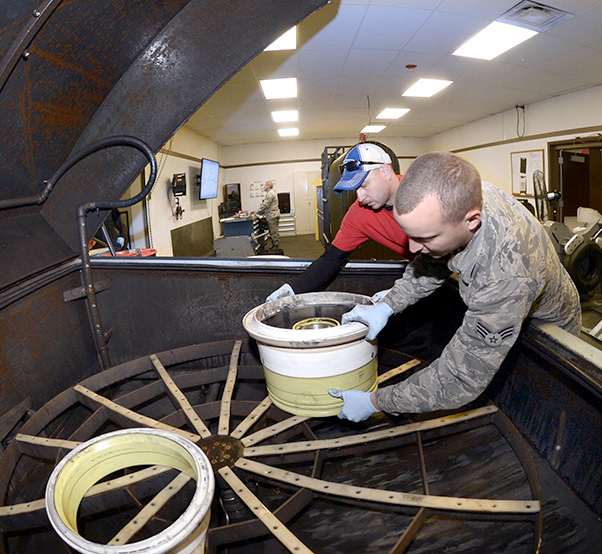 James Speicher, an air reserve technician with the 419th Maintenance Squadron, and Senior Airman Joseph Sprowls, of the 388th Maintenance Squadron, load F-35 Lightning II wheels into a parts washer May 20, 2016, at Hill Air Force Base, Utah. Drawing on years of experience changing F-16 tires, the shop’s airmen felt they could make the process of changing F-35 tires better if the legacy tire changing machine could be used. 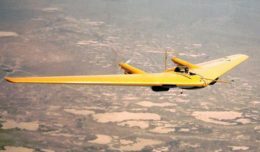 After studying the legacy machine, it was determined the tool would work with F-35 wheels if its bead breaker — a compressing component which actually pushes on the tire, separating it from its rim via hydraulic pressure — could be adapted for use.